Specialty: Leading designer & manufacturer of professional & home electronics including video cameras, Televisions, Radios, HI-Fi & personal audio, telecom, medical, computer hardware, storage, & video game units. Semiconductor & Electronic components manufacture. 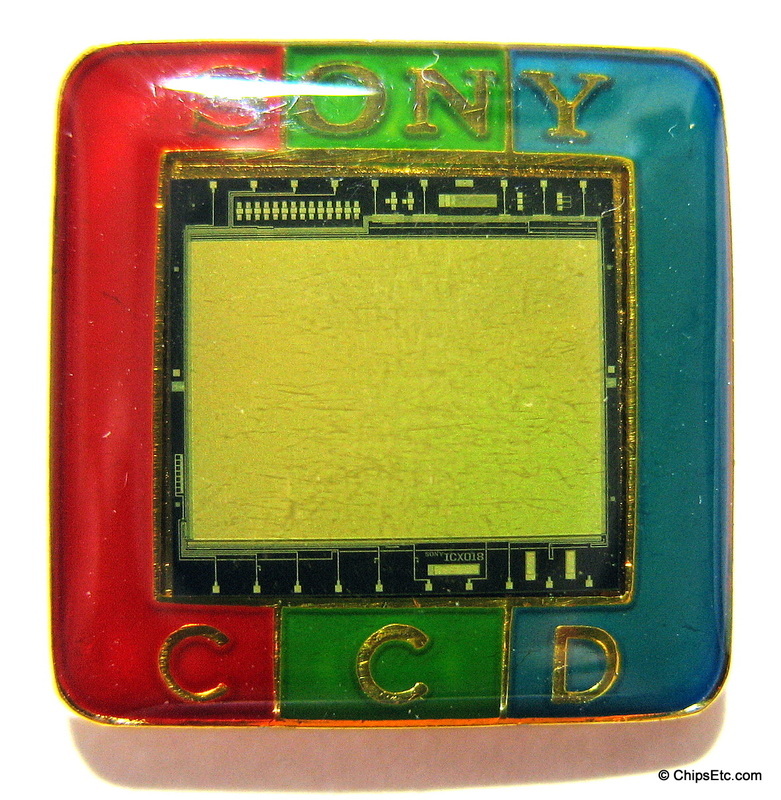 Enameled tie-tack pin from Sony featuring an actual "Sony ICX018" color CCD chip. The 250,000 pixel ICX018 was Sony's first CCD image processing chip to be mass produced and offered to the general public. The ICX018 chip was used in the world's first 8mm camcorder - the SONY CCD-V8. 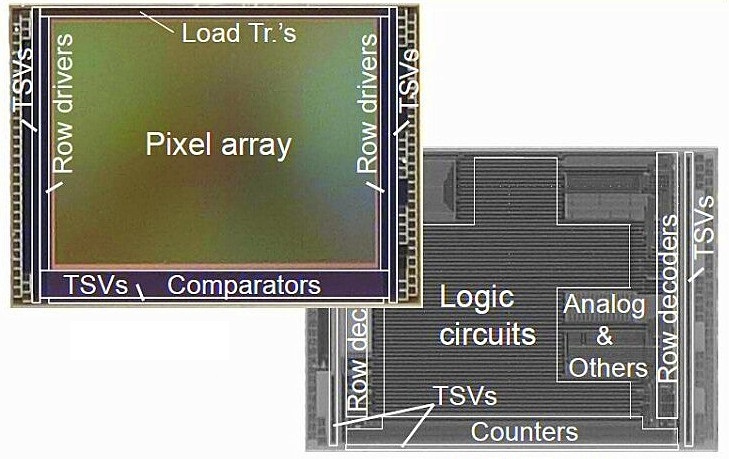 Pixel resolution of this NTSC image sensor was 510 horizontal x 492 vertical.